I have tried your product Rose-Hip Vital, and I’ m writing to tell you that my life has changed for the better since taking Rose-Hip Vital. I’m able to sleep at night which I’ve never been able to do because I’ve been in so much pain, I have osteoarthritis in my whole body and also I have been restricted from walking. Now, I can walk up the street without stopping for a rest along the way. Everyone tells me how well I look and I tell them why. A lot of my friend’s mothers are getting the product for there friends who probably never heard of Rose-Hip Vital. My doctors don’t tell you there is something out there that can help, because I saw it on the TV & haven’t heard anything since. I’m feeling so confident about this product, I’m telling everyone about it because people should have quality of life without being in pain. Thanking Denmark & its distributors for such a great product. My wife Mary-Margaret has been taking the medicine capsules Rose-Hip Vital for the past 4 years. She suffers from generalised osteoarthritis and peripheral neuropathy and she has had great relief from pain over the period. On 1/12/2010 she was admitted to hospital for unrelated emergency surgery and was unable to take her Rose-Hip Vital for 4 weeks. The osteoarthritis pain reoccurred. On resuming her tablets, she has had complete relief of pain. My name is Win McQueen and I am aged 91 nearly 92. Several months ago, I was in Hospital with so much pain that I was put on Morphine with other drugs. I had been diagnosed with Osteoarthritis and was told that I would have to live with the pain for the rest of my life. My Son David mentioned that he had seen a program on TV showing how Rose-Hip Vital had helped a lot of elderly women who were suffering terrible pain and were now without pain. He was so impressed he kept talking about it. My elder son Ken was very sceptical but David was so persistent that I finally said ‘alright, but only if my Doctor of many years is OK with it’, as I am on a lot of medication for heart, blood pressure, angina and other problems. David immediately called my Doctor who did some research and rang David back to say they were fine. David had already purchased the tablets and dropped them around that day and said to take 5 tablets every night. David would ring every night without fail to see if I had taken them as I was still a bit reluctant. It has now been over 6 weeks and I do not have any pain, in fact my Doctor has reduced some of my medication. I have no doubt whatsoever that is the Rose-Hip Vital that has got rid of my pain. I now go for walks and feel I have so much to live for. I would like to thank Rose-Hip Vital and my Son David for his Faith in your product. My elder son Ken has started with your product and I know that David has put his dogs Jade and Webbie on one of your products and is so impressed he tells everyone. My son David has typed this up and I will be signing it. I am legally blind but can read things under a big screen. 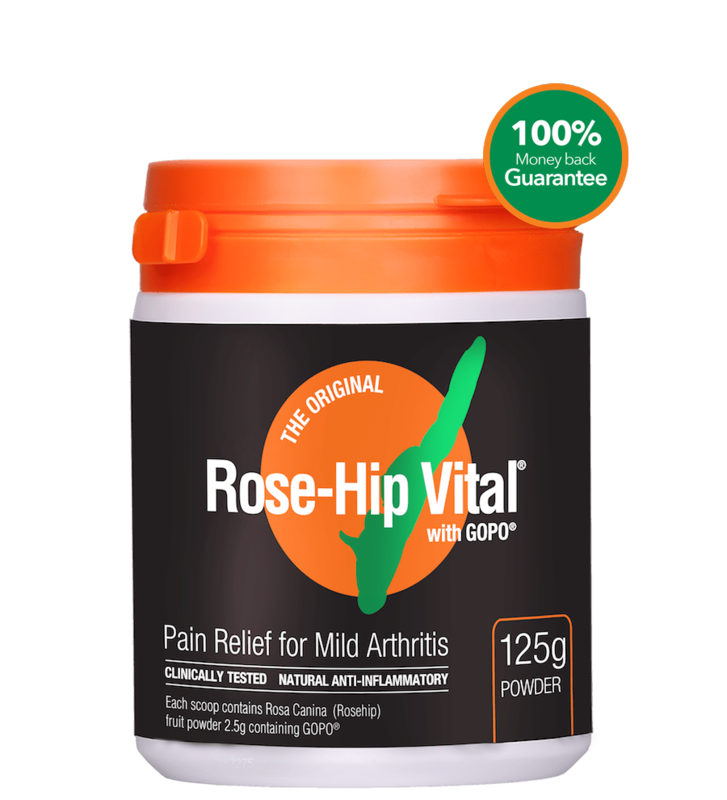 I want to tell you how much Rose-Hip Vital has helped me with the pain of osteoarthritis. I was in pain all the time even though the doctor prescribed Osteo Panadol when I saw your advertisement on TV. I have been taking the capsules for three months now and feel so much better that I don’t even think about pain. I can even take my large German Shepherd for a walk without any trouble. If everyone knew about your capsules for pain, there would be no more suffering. My thanks go to your company for finding out about Rose-Hips. My husband Terry was diagonised with oesteoarthritis 6 months ago and my daughter saw Rose-Hip Vital on Current Affair. We went on the computer to do some research, and the next day I went and got the tablets which Terry takes 5 a day. We then saw the powder come out and he now takes a scoop once a day and finds it better than taking the tablets. Overall, he is pleased with the result as his fingers have settled down and has more movement and less pain which is what he has been looking for. I have been suffering this winter from osteoarthritis in my knees/legs to the point where I was wondering what to do next. My wife and I live on 34 acres just out of Gympie. I saw your advert on TV and purchased some Rose-Hip Vital. Within 2/3 days the improvement was dramatic and after 1 month of taking these capsules the pain has reduced by 80-90%. I am ever so grateful and will be taking these capsules for years to come. I have suffered chronic osteoarthritis since childhood. I am too sensitive to anti-inflammatory prescription medication that causes me very much discomfort. I get very good relief from Rose Hip Vital without any of those systems. Thank you Rose-Hip Vital for improving my life. Hi. 6 months ago, my doctor told me I had osteoarthritis in the leg and that there was nothing they could do. I have had to put up with the pain until I saw your ad. Worried if I had bought the capsules and whether they would work, I spoke to a man who said that he was an osteoarthritis sufferer too. He had been using Rose-Hip Vital and said that they are good, he’s in no more pain. After that conversation, I went straight to a health shop and got some. I took 5 straight away. Within a few weeks, I could see change and that I was not walking around in any pain. I have nearly finished my second bottle. I tell everyone that is in pain to try them, I swear by them that the swelling in my leg has not gone away but at least I’m in no more pain. Best money I’ve ever spent is on your product. Over four months now and I was so excited when the doctor asked me did I need a repeat for my pain meds (she was going away for Christmas) and I told her I still have repeats. She was pleased, and I am saving money on the drugs I used to take, so it is paying for itself. My osteo is so much better and I am doing things I thought were history. Thank you. Hi, this is to let everyone who is reading this know how wonderful Rose-Hip Vial is for you. I have Osteo-Arthritis in both my knees and I have found by taking Rose-Hip Vital, I have almost no pain and I am able to walk a lot further than ever before. 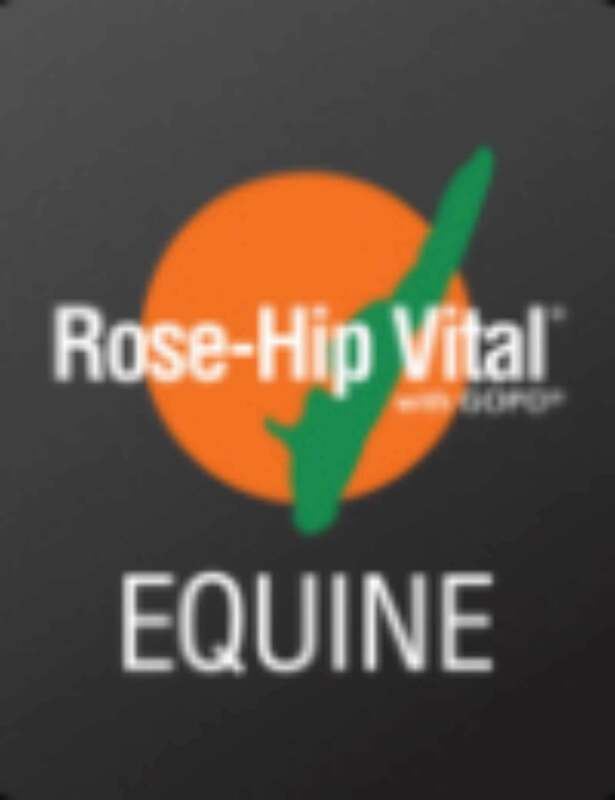 I would recommend Rose-Hip Vital for anyone young or old, as it has no side effects and is very gentle on the stomach. I found I was getting results within 7 days, and the benefits just kept getting better the longer I took them. They are absolutely marvellous and in my opinion, I would say miraculous. Thanks to Rose-Hip Vital, I have my life back on track. I have been taking Rose-Hip Vital since it first came out for osteoarthritis in my knees. I had tried so many medications and the Rose-Hip Vital is the only one that made a difference and stopped the constant pain. 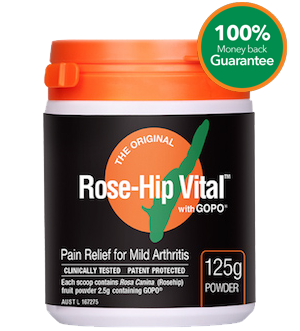 I now have osteoarthritis in several other places and Rose-Hip Vital is keeping me moving. I will continue to take Rose-Hip Vital, and now have my mother taking it, as well as one of the dogs taking the canine version. We are very much a Rose-Hip Vital family. I recommend Rose-Hip Vital to all my friends as the best treatment for arthritic pain and joint stiffness. It really works.